The 2010 Rieussec was missing a little intellect when I tasted it from barrel. Now in bottle it has become a contender for the finest Sauternes of the vintage. It is blessed with a pure and lifted bouquet with ripe peach, nectarine and honey, hints of shaved ginger poke their head above the surface with aeration. It is very subtle. The palate is medium-bodied with fine tannins, perfectly judged acidity and convincing harmony. 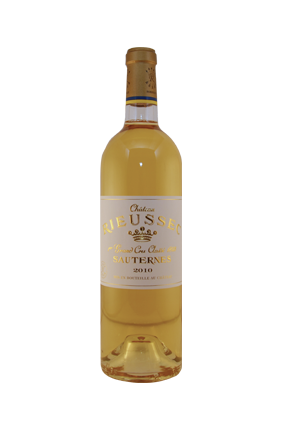 This is a sophisticated Sauternes with superb mineralite and outstanding persistency. I will confess that I pinned this as "Yquem" and was both shocked and pleased when its identity was revealed. Go buy. Drink 2016-2035. Leveres i 6 stk's orig. trækasser.